Wärtsilä will supply a 50 MW Smart Power Generation power plant to Hawaiian Electric Company on the island of Oahu. The plant will help enable the integration of more solar photovoltaic (PV) generation on the island. 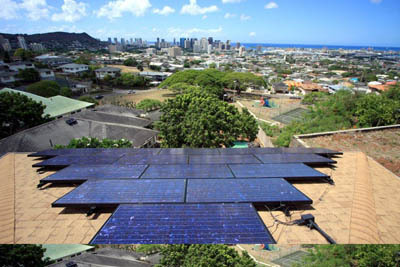 The project requires approval by the Hawaii Public Utilities Commission. If approved, the power plant is scheduled to be operational in 2017. "We need to transform our generation portfolio to be more flexible and quick-starting in order to integrate more renewable energy, especially solar power. This project is an important step in that direction," said Jack Shriver, Hawaiian Electric senior engineer. "Internal combustion engines (ICE) provide a solution to our requirements, since they are fast-reacting, efficient and capable of running on multiple fuels," he added. The power station will run on a biofuel blend, which will include liquid fuels and natural gas when liquefied natural gas (LNG) becomes available on the island, and it is part of the plan to reduce the island's reliance on oil and coal-based generation. The plant will consist of six Wärtsilä 34DF engines with combined output of 50 MW. The power plant will be located on Schofield Barracks Army base, about 40 kilometres from Honolulu.